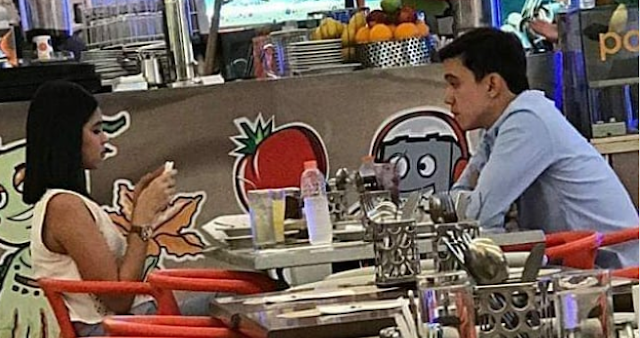 After actor Arjo Atayde revealed the real score between him and Main Mendoza, fans has nothing to do but to accept reality. However, a new photo between the two is making the rounds online showing them in a restaurant - once again become the public interest as their status divides people, those who support them and other may still in the stage of acceptance. In the new Instagram post by a fan described the couple as,"Nothing too sweet and everything was casual. But you would sense that there is really something between them," she wrote. "Sometimes there are things in life that we can't control from happening. But in career, love, and personal choices are the things that ONLY THEM can control. "I am not posting this to hurt anyone nor to give satisfaction to those fans of M and the guy. "I am here to stand as an example to everyone that even in the midst of hurting, we could still find the courage to give RESPECT to someone's life," she added. dorothyrosales829: Mam pwede po ba magtanong sayo? Sa tingin nyo po ba cla na ni Arjo?